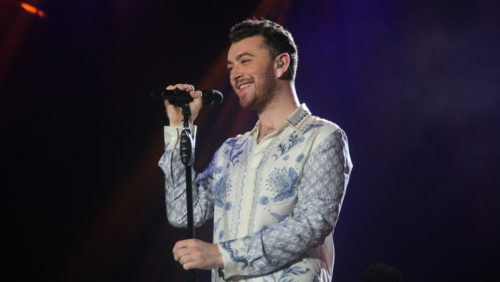 British singer Sam Smith recently came out as a non-binary genderqueer during a revealing interview with actress Jameela Jamil on her Instagram Live show I Weigh. Smith said that gender-fluidity helped resolve some body image issues. At age 12, Smith had a liposuction chest surgery to help reduce their breasts which were enlarged due to a high level of estrogen, a predominantly female hormone. People don’t know this, but when I was 17, I remember becoming obsessed with Boy George and Marilyn. There was one moment in my life when I didn’t own a piece of male clothing, really. I would wear full makeup every day at school—eyelashes, leggings, with Dr Martens and huge fur coats, for two and a half years. I got teased a lot for it, but there were also people respecting me for walking around like that in school. Smith has separate male and female symbols tattooed on two of his fingers.